Roulette might not offer the best odds, but it can lead to big wins from small bets. Although there are many casino games available online, it can be difficult to choose the right one to play. What do you play if you want to spend hours at the table without risking too much? What do you play if you want a chance to win a huge jackpot? You are spoilt for choice! It’s important to understand that different games offer different risks and outcomes. For example, blackjack is often enjoyed at a steady pace and can be played with less risk, but it doesn’t tend to offer the huge, alluring payoffs associated with more high-risk games like roulette. Understanding the odds and the nature of each game can help you to make the right betting decisions to suit your temperament. So, blackjack has the best odds by far if you learn the game well and is followed by craps. 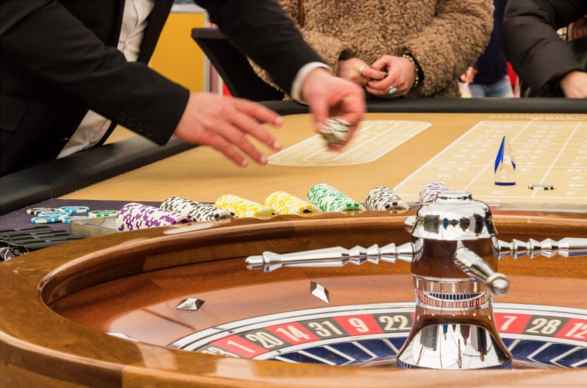 Roulette is a thrilling game, but the house edge is relatively large. And online slots offer much better payouts than the percentages you typically find in a brick-and-mortar casino. Keep in mind that you should also enjoy the game that you play. If you really enjoy a simple game of cards at low stakes, then that’s perfectly fine. You might even find it entertaining to play live casino games like poker online so that you can interact with the dealer and other players. That’s certainly an option, too. The games with the best odds are not necessarily the games that give you the chance to win the biggest jackpots. For example, in blackjack, which technically has the best odds if you know the right way to bet, you usually win back double your original stake, and perhaps a few bets more if you hit a ‘blackjack’ bonus or another side bet. The odds are good, but the payoffs are generally slow. Roulette, on the other hand, pays back 37x your original wager if you only bet a single number. The odds are lower than blackjack, but there is more potential to win big quickly with only a small starting bet. However, make sure that you play on a European wheel so that you get the best odds. The American roulette wheel has an extra ’00,’ which doubles the house edge and greatly reduces your chances of winning. Both land-based and online casinos offer slots with progressive jackpots. The idea is simple. 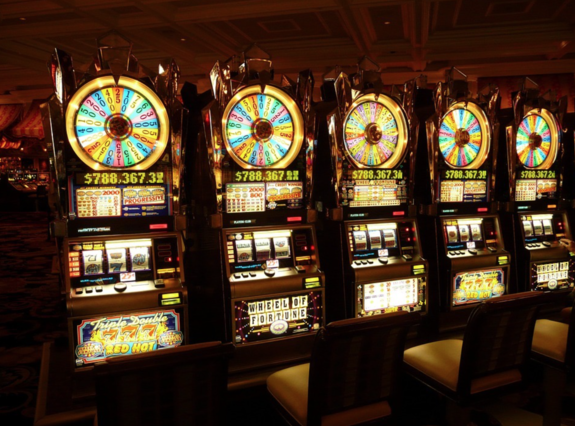 A small portion of each bet on participating slot machines goes towards a jackpot pool. As more players place bets, the ‘progressive’ jackpot grows and grows until it reaches into the millions of dollars. The odds of winning a progressive jackpot are extremely small, which is why the total can get so high, but the payout is life-changing. However, there is one snag with progressive jackpots. Oftentimes you must play the slot machine at a defined stake so that the lowest bet doesn’t qualify for the full jackpot amount. If you are playing for the jackpot, make sure you make the right size bet. Online poker is usually offered separately from other online casino games. Perhaps this is justified by the immense popularity of the game. Poker is played against other players, with the host taking some of the entry fees. This means that it is possible to use skill to gain an edge in poker and that the odds can be in your favour. For jackpot hunters, poker has a lot to offer. Huge tournaments offer prize pool winnings that can run into the millions of dollars, with top prizes in the tens or hundreds of thousands of dollars. Fast-paced versions offer the chance to make 100 or 1,000x your stake in a matter of minutes. Online poker may require more commitment, but it does offer the chance for both good odds and huge wins. You should always choose an online casino that is reputable and can be trusted with your money. Pick sites that have been around a long time and have a good track record of keeping player accounts safe and offering the latest and greatest casino games. If you are looking for progressive jackpots, make sure the site you sign up with has slots that offer them. Have fun at the tables!